A great start saw Casper take control of the race through the 1st of 3 laps today, a lead that he maintained through the entire race, only threatened by 2nd place finisher and 2014 European Cup Champion Zane Schweitzer (Starboard) through the backend of the 1st lap after a great read of the bump by the young Hawaiian. Despite this surge from Zane, it was definitely Casper’s race today, as this win now strengthens his chances of an overall victory here in Italy, but also the chance of turning his European Title win in 2014 into an overall European Cup victory. 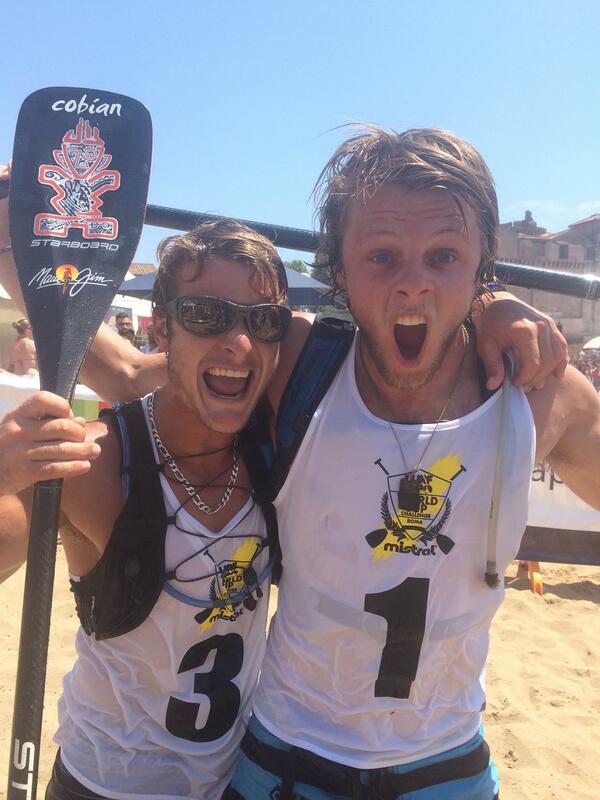 Having said this, it is a tight race at the top, as Casper will have to overcome the local favorite Leonard Nika (Starboard) (both pictured above) in tomorrow’s sprint race to take the overal event result here in Italy, as if Leonard overtakes him, this could well swing the balance in the Italian’s favor. Zane Schweitzer (Starboard) put on a solid performance in today’s long distance race, finishing in 2nd place and showcasing impressive ocean lecture to close the gap on Casper on all the downwind runs, making it an exciting battle for the win here in Rome. 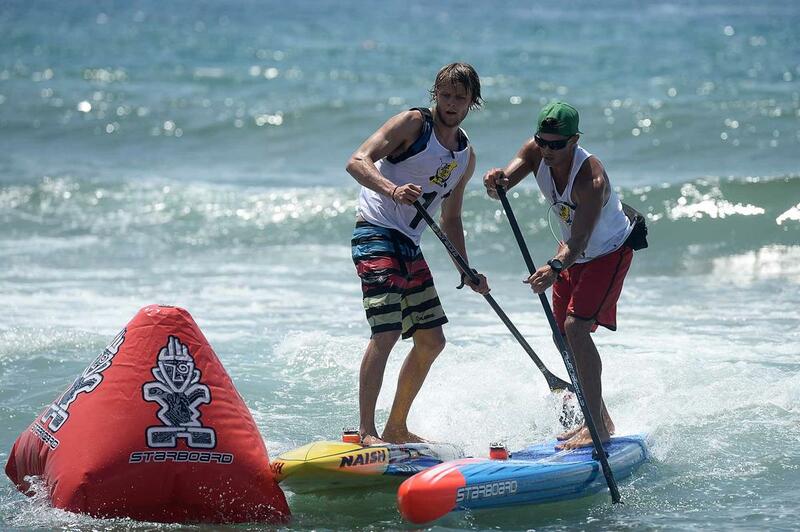 There is forecast to be a bump up in swell for tomorrow as the World Series Sprints promise to provide a dramatic close to this 2015 Italia Surf Expo World SUP Challenge. This will be welcomed news for the young Hawaiian, who not only revels in the surf, but is one of the most dangerous in the World Series Sprint Racing format. 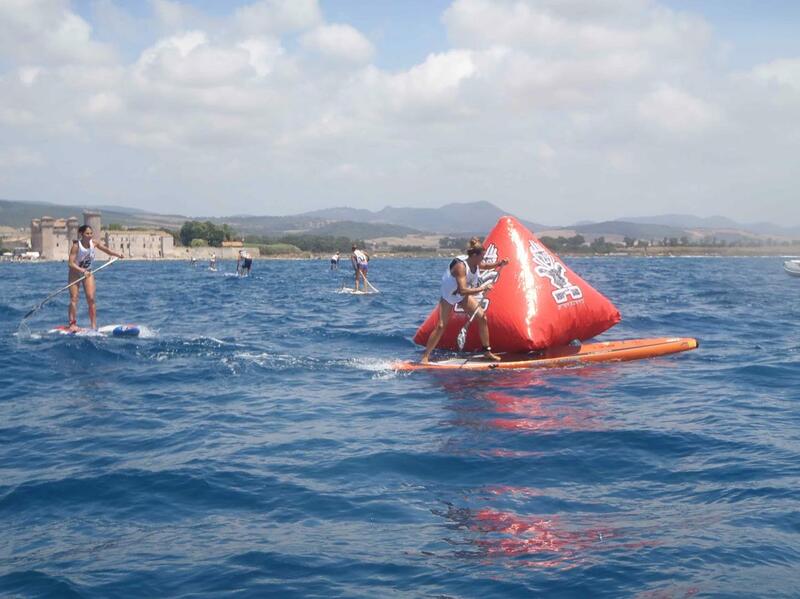 Leonard Nika (Starboard) had a great start, leading the pack right up until the 2nd buoy, right on the inside, where the eventual winner Casper Steinfath was able to get inside of him and take the lead. He continued on strong, but was unable to fend off the in form Zane Schweitzer (Starboard), having to settle for a still very credible 3rd place, rounding off the podium for today’s racing. As we come into the final day, Leonard is still very much in the running for the European Cup Title, not to mention the event win, as it will all come down to the World Series Sprints tomorrow to decide both here at the Italia Surf Expo at Santa Severa Beach. 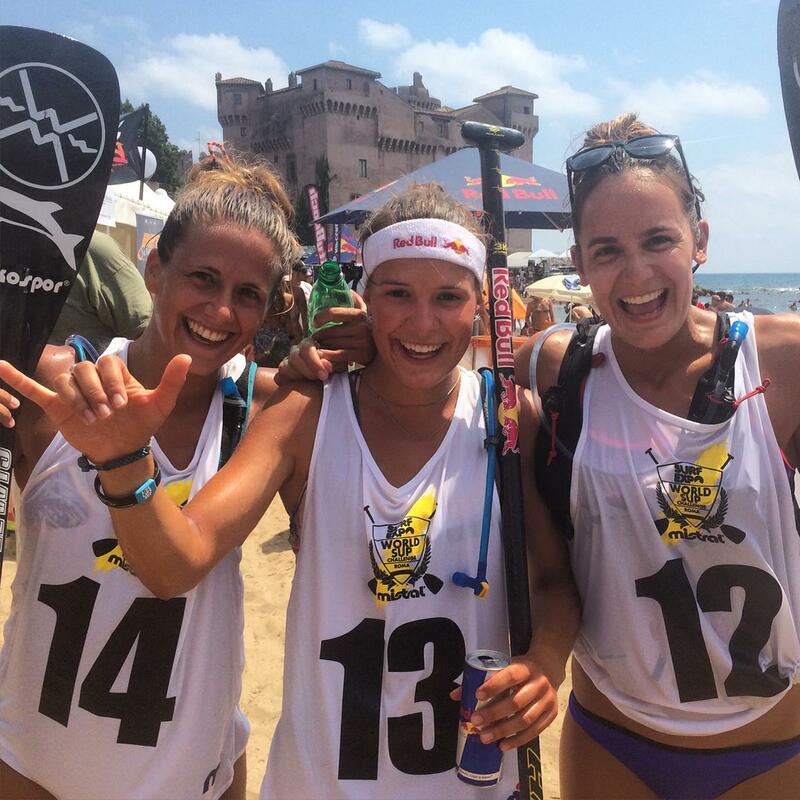 Manca Notar (Naish) put on a dominant performance today in the Long distance race taking a convincing win to back up her solid performance at the World Series opener in Barcelona last month. 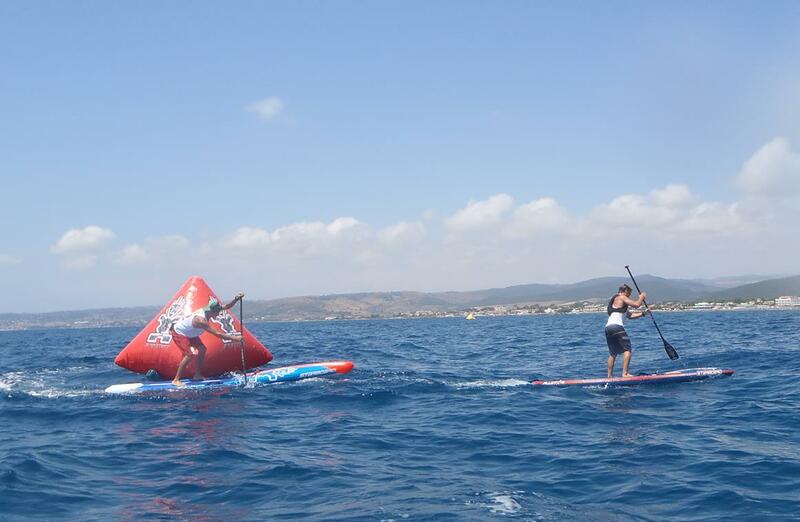 Finishing well up the field of men and a solid distance ahead of the next girl, Manca once again showed herself to be a major force to be reckoned with and continues to strengthen her reputation as one of the brightest women stars in the world of SUP. Ane Zulaika Aranburu (Bic SUP) put on another impressive performance in today’s long distance race, following up from her 2nd place overall at the last European Cup Race in Finland. A 2nd place in today’s racing puts her in a strong position coming into the final day of action here in Rome, where the sprint racing will see increased surf and epic conditions for what will be some of the most dramatic racing yet. Ane has proved herself on this year’s European Cup, currently sitting in 2nd place overall and with the Title in her sites after today’s performance, as a win here in Italy might just secure her the overall Cup Title if Celine Guesdon finishes 3rd or worse tomorrow. 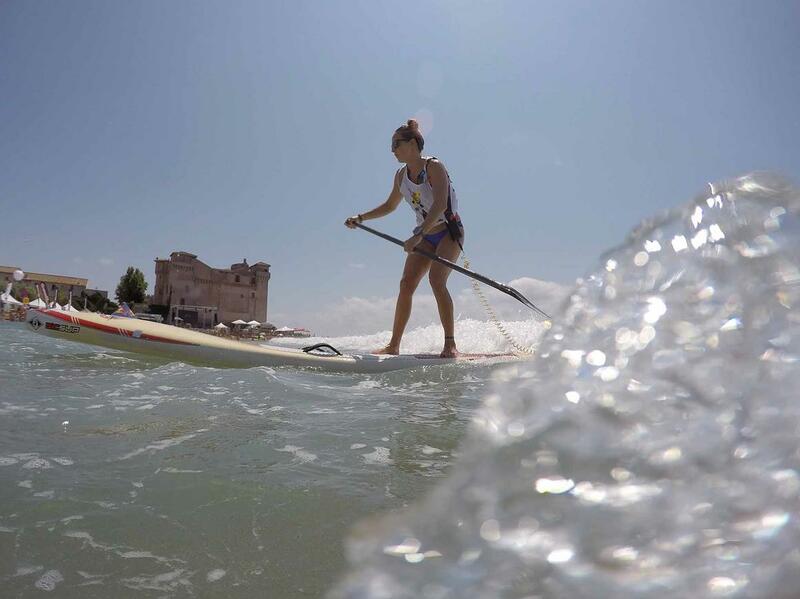 Susak Molinero has a great history here in Italy, with a solid finish at last year’s Italia Surf Expo, and backed it up again today with another impressive finish in today’s long distance, with a 3rd place, that only strengthens her position in the overall European Cup Ratings. With a rise in swell and a packed beach anticipated for the final day of action here in Rome, we wait to see how Susak steps up, as it will all come down to this final day of action for overall Event and Cup win. One thing is for sure, it will be a day to remember as history is once again made in the region of Santa Marinella for the conclusion of the 2015 Italia Surf Expo Roma.